And now our second episode, “Edge of the Wild,” is trending on iTunes. 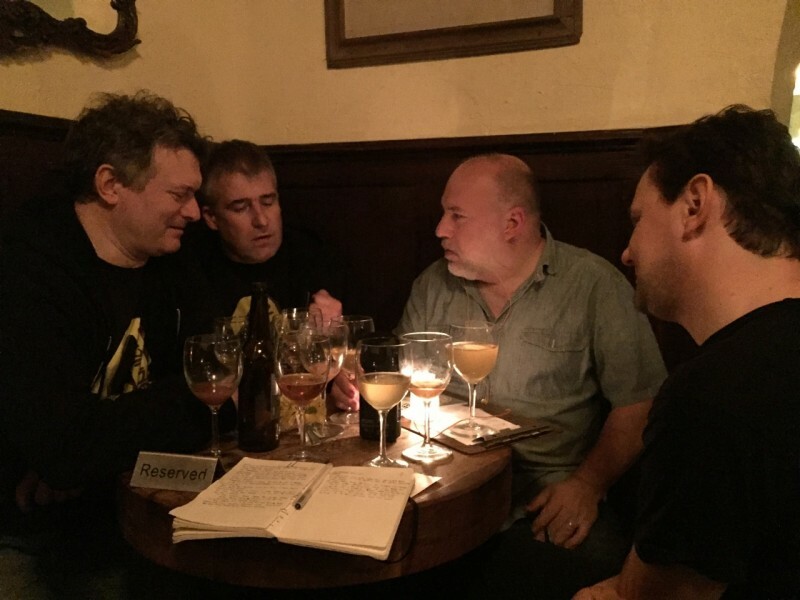 This latest episode ranking 5th in food-related podcasts as of time of writing found us in the Catskills region of New York State, where we hang out with Beer Sessions Radio™ favorite Andy Brennan of Aaron Burr Cidery and he reflects on the text written about apples in the 1800s that give him inspiration. Listen in and meet Andy along with a former racetrack veterinarian who uses his chemistry background to distill unique buckwheat liquor and whole wheat vodka, a brewery owner who was part of saving New York City’s water through anti-fracking advocacy, and one of the first (legal) absinthe producers in the United States. Thank you for being a huge part of this successful series. Our third episode airs soon! 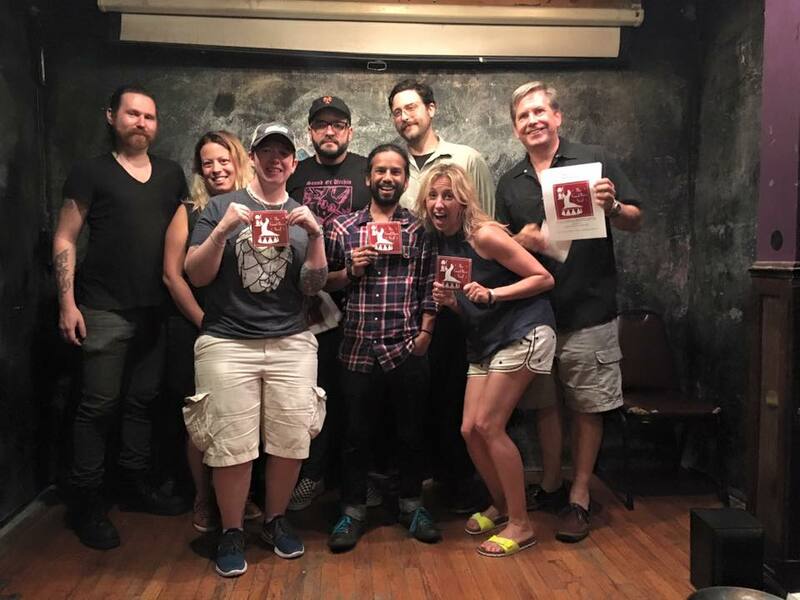 Beer Sessions Radio™ and The Good Beer Seal are delighted to announce the recipients of the Eighth Annual Good Beer Seal Awards. This year’s inductees will join 64 of their peers from NYC, northeastern New Jersey and Long Island. This year The Good Beer Seal expands to Westchester County, in recognition of great beer venues that stand out from the competition in terms of superior beer quality and selection as well as commitment to their communities. The Awards are the culmination of July Good Beer Month, which features specialty events across the city with a focus on craft beer, the brewers who make them, and the local establishments that sell craft beer. The Good Beer Seal nominees are gathered by a select group of beer journalists, industry professionals and existing Good Beer Seal bar owners. For eight years, July has been declared “Good Beer Month,” and we celebrate the dedicated, community-oriented bars and bar owners who are on the front lines of the country’s continuing craft beer revolution. This week on Beer Sessions Radio™, we’re celebrating July Good Beer Month with guests Derek Dellinger, author of the new book, The Fermented Man, and Will Stephens, creator of BeerMenus.com. Dellinger is also the brewmaster at Kent Falls Brewing Company and author of the brewing blog Bear Flavored. Heritage Radio Network and Beer Sessions Radio™ today (Tuesday, 6/21) will launch a special four-part series, On the Road with Beer Sessions Radio. 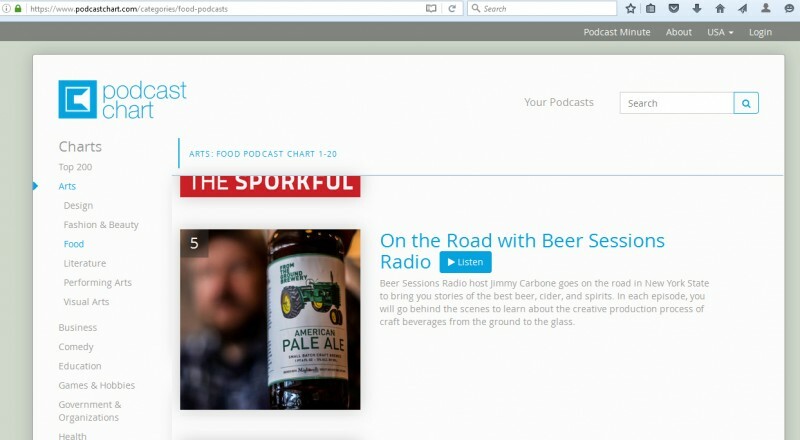 In each episode, Beer Sessions Radio™ host Jimmy Carbone goes behind the scenes to learn about the creative production process of the best craft beer, cider, and spirits from the ground to the glass. This series will support the promotion of over thirty craft beverage businesses across five regions of New York State. 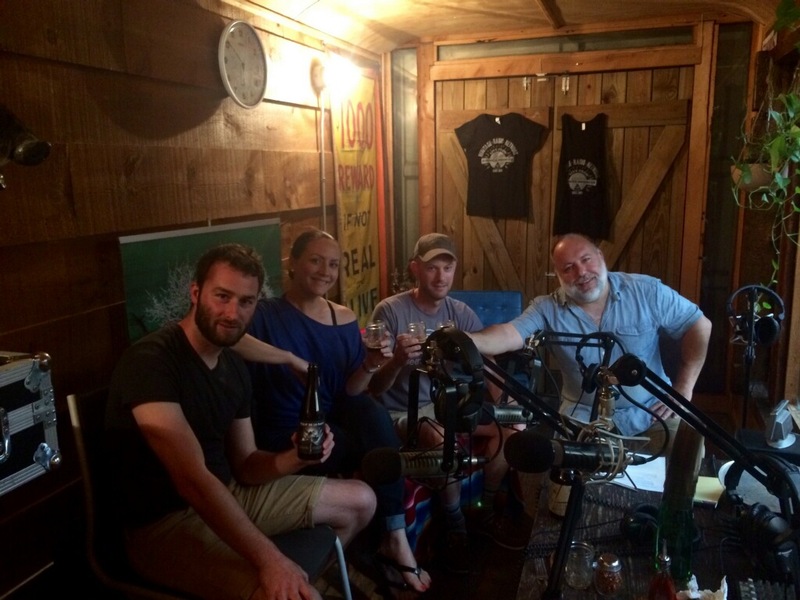 The first episode, “The New Primitives,” featuring Suarez Family Brewery, Hudson Valley Malt, Plan Bee Farm Brewery, From the Ground Brewery, Migliorelli Farm, and Daughters Fare & Ale, will debut today, Tuesday June 21st at 5PM, on Heritage Radio Network. Listeners can tune in to the live stream, or find the podcasts on iTunes. 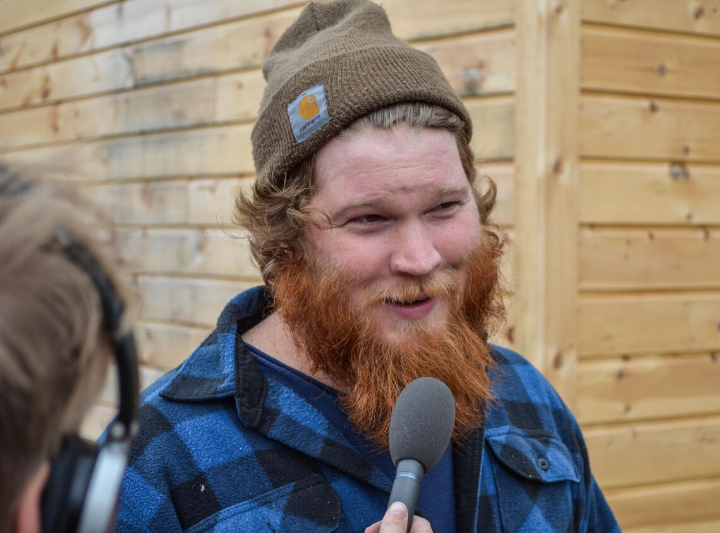 This week on Beer Sessions Radio™, host Jimmy Carbone is convening a special Wednesday live show with TED Talk celebrity and food sustainability pioneer Tristram Stuart. 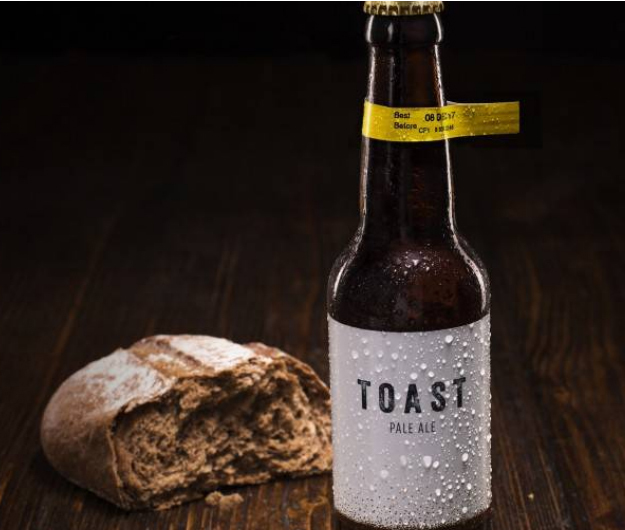 Tristram is founder of Feedback (focused on food waste) and Toast Ale, which is making craft beer from bread that otherwise would be wasted. He learned about this brewing innovation via the Brussels Beer Project, when he tasted their Babylon beer made from bread waste. One-hundred percent of the profits of Toast Ale go to increase the recycling of bread waste. He’s creating a classic English ale that is being well received by beer experts as a quality craft ale that also solves the problem of food waste around the world and its delicious solutions. How do you make beer from leftover bread? The basic principle is simple: You replace a percentage of barley in brewing with bread. Since launching in the UK in January, Toast has rescued more than a ton of bread that would have otherwise gone into landfills. Bread is one of the biggest contributors to food waste; so much is produced that even soup kitchens and feeding programs consistently have more bread than they can distribute. NYC plans to launch its own version of the product in 2017 to be spearheaded by Madi Holtzman and Devin Hardy. Toast’s launch in NYC is just the first step in what will soon become a global, united movement to eliminate bread waste and raise money for charity by brewing quality beer. Also in the studio are Amy Halloran, author of The New Bread Basket, Pat Green of Chelsea Craft Brewing Company and Rachel Eshner of Eschner Farms. Amy notes that historically, bread wasn’t wasted because there were recipes that used up all the bread. Today there is a lot of wasted labor and energy in the bread market. Tristram tries to prevent the waste in the first place, with Toast Ale being a secondary solution. Pat is working with Madi and the Toast NYC team to be the initial brewer of the beer up at his new facility up in the Bronx. He explains the process of adding bread to the mash to create the new beer. There are brewers all over the world working to come up with new recipes and craft beer brewers are very excited about the effort.